A Jolly Holley Christening Party! 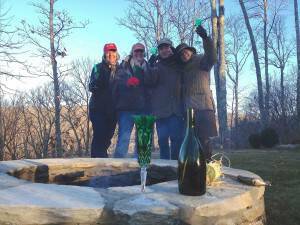 A fire pit, 5 friends and a bottle of bubbly! What could be better on a cold November Saturday? Well, dinner afterwards and a game of pop the cork ! 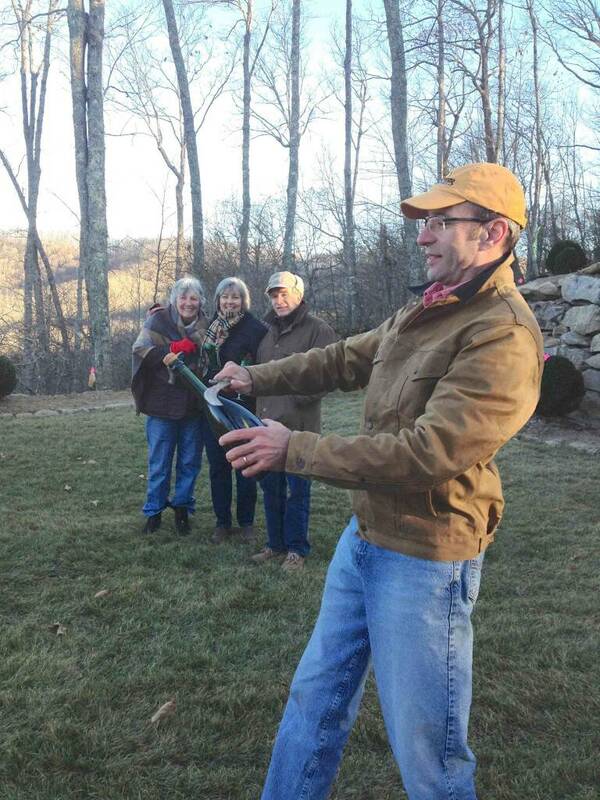 Bill Holley, owner with Mara of the new terraces, manned the champaign saber and off with its head… apparently this was how Napolean’s crew did it in the early days! Mara , Bill and her mother, Jan, Hugh and Mary Palmer Dargan enjoyed the warmth from “the first fire in the pit”…it was heading towards 23degrees out in western carolina overlooking beautiful Panthertown Valley. John Warren installed and Dargan Landscape Architects put the plan in to action. Voila!